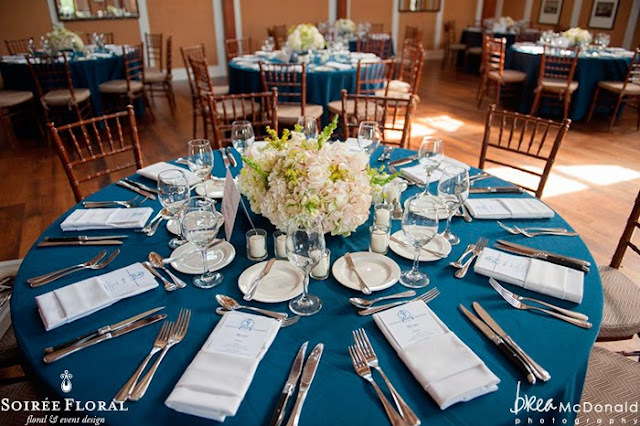 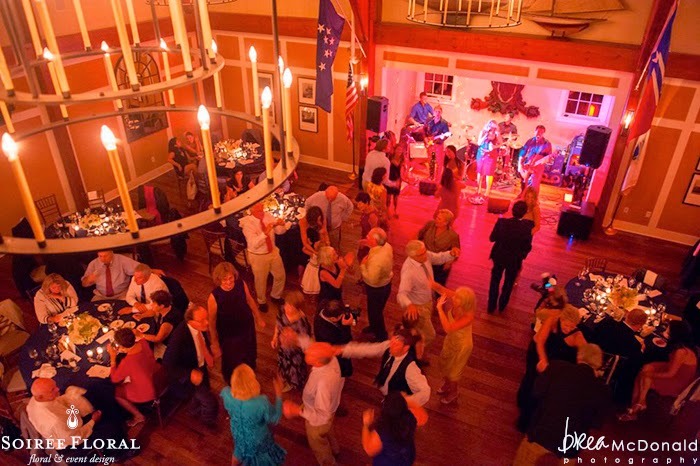 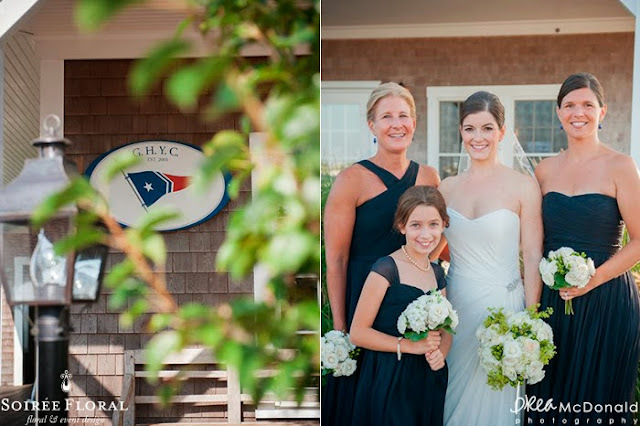 that we did at the Great Harbor Yacht Club with Brea McDonald Photography. 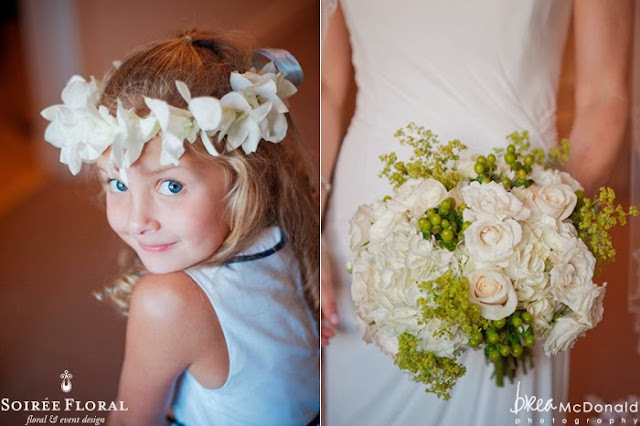 simple but elegant palette of green and white with fluffy end-of-summer blooms. 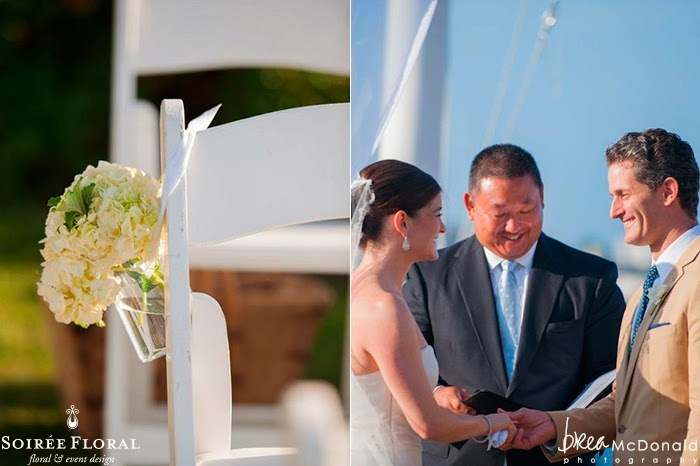 Their ceremony took place on the lawn, with the ocean behind them offering them and their guests quite the view on this late summer day. 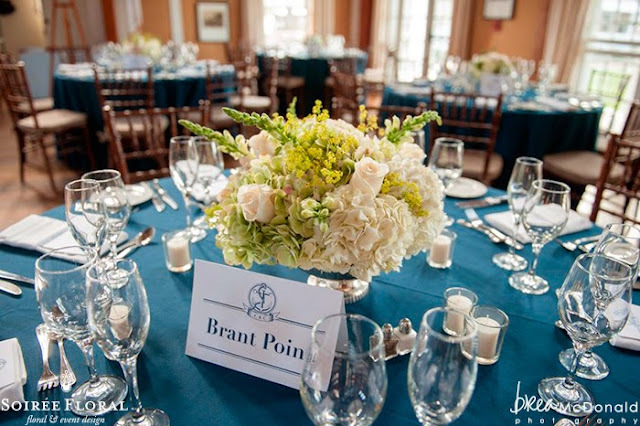 Vases filled with hydrangea and geranium leaf hung from the ceremony chairs while her maids carried petite bouquets of hydrangea, roses and hypericum berries. 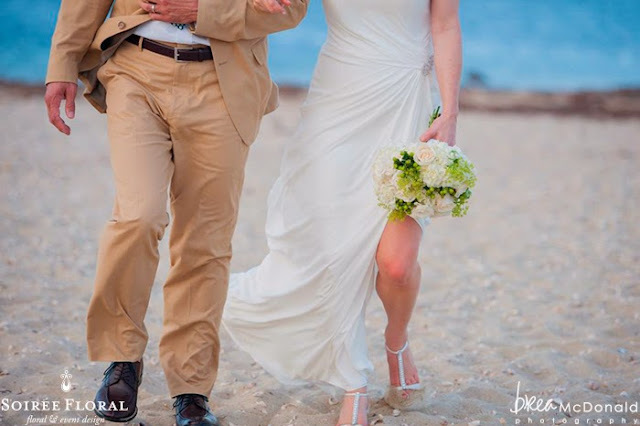 The bride's bouquet was full and fluffy with roses, hydrangea, lady's mantle and hypericum berries that provided an effortless look against the beautiful Nantucket scenery. With simple nautical touches in the table names and menus, Charlotte and Chris stayed classic and clean for their wedding design. 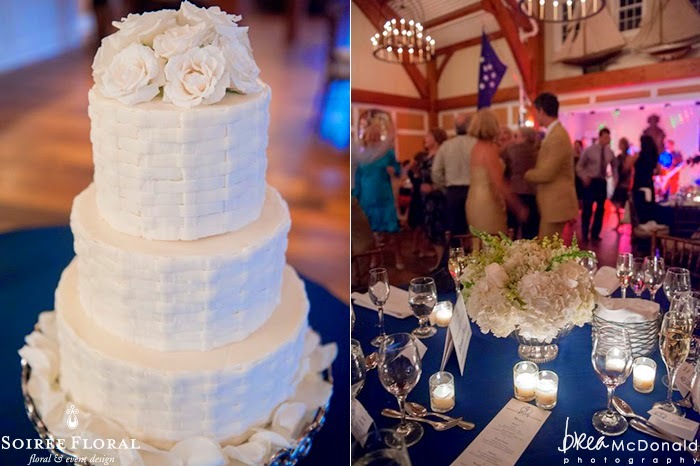 of Pam Goddard's delicious cake creations.